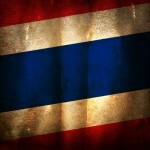 In recent weeks the military have taken over the running of Thailand. With it they have introduced not only curfews for Thai citizens but also for visitors to the country. The country has been in a state of turmoil and panic for the past few months which in the end resulted in a court order requesting the removal of Prime Minister Yingluck Shinawatra. This was credited as an abuse of power and with this the military moved in to take over the running of the country. Currently all TV and radio stations have replaced broadcasting with army bulletins although this situation is likely to change regularly. There are a range of restrictions in place which range from banning of groups of people in a political manner of 5 or more people, introducing a curfew between the hours of 05:00 and 22:00 plus a range of other drastic options. One of the most instantaneous implications in countries when similar situations have happened is to restrict the flow of information. As is already evident this has happened with the TV and Radio but as with other countries could be expected to follow on to internet media, especially sites such as Twitter and Facebook. In fact the very first rumblings of this were felt across Thailand on Wednesday when Facebook became inaccessible for up to an hour causing widespread muttering across Twitter from Thai users. The same situation has been seen time and time again in countries that are in crisis, more recently we have seen similar situations in Egypt, Syria and even Turkey when unrest or political instability is experienced. Access to Facebook was restored around an hour after it originally went down and has been attributed to a technical fault by a military spokesperson. The jury of this response is still out and experts have expressed concern that any kind of technical fault would not of restricted access to one specific site from one specific country. Any possible technical fault is more than likely to have hampered access to a range of sites, as this wasn’t the case we assume something more underhand is at foot. As the situation continues the uncertainty of if a similar move will be brought in more widespread and officially will remain a possibility and as such why we’re recommending Thai users signing up to a VPN service at the earlier possible opportunity. For those of you who aren’t aware of what a VPN does, it allows you to connect to a remote location, which for this purpose would be outside of Thailand and then continue to access the internet via that connection. In the case of the Facebook incident this would of allowed you to bypass any restrictions in place in Thailand and access Facebook without a problem INSIDE Thailand and in an encrypted manner which would be undetectable easily to government or other sources. VPN software is available for many different devices and some are extremely easy to set up. 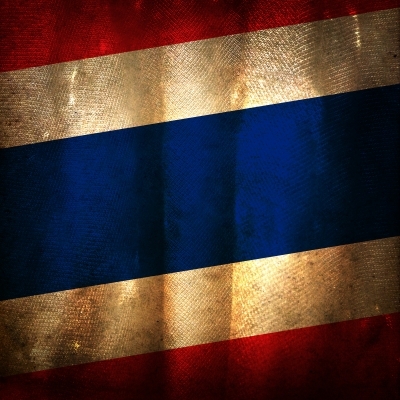 When accessing a VPN service from Thailand it will be advantageous to connect to a remote location (aka server) which is within good range of Thailand. For example many good providers like VPN.ac offer access locations in Hong Kong and Singapore which will be within ideal range to keep good speeds from Thailand. The benefit of speed alone is so you don’t notice much if any inconvenience to your browsing activity. One of the beneficial features of a VPN service is the websites you access from your connection are encrypted up until the remote location (ie; in the case of VPN.ac that could be Hong Kong or Singapore) which means that no one can see what you’re accessing which is why Facebook would of been accessible to you even while inaccessible to those using a normal internet connection inside Thailand. Another good provider for the Thai region is Ironsocket, not only are they based in Asia themselves but they have access in a range of Asian countries including Indonesia, Japan, Malaysia, Philippines, Singapore and Taiwan, they even have a server in Thailand but to access sites restricted in Thailand you’ll need to access a server in a country outside. Both providers offer extremely competitive prices but if you’re after searching for more options then our VPN Comparison Table on the homepage will be a good starting point. Both providers offer set up guides for a range of systems from Windows to Mac and also for mobile devices such as Android and iOS. If you’re a bit of a technophobe and want really easy solutions without any set-up then consider providers such as IPVanish or ExpressVPN as these have easy to use software for a range of systems. So while the military can put this latest situation down to a technical error users in Thailand can protect themselves by taking up a VPN service now to ensure their internet use can not be restricted or monitored in the future.